Question: I am a widow and have been left financially comfortable on my husband’s death a few years ago. I am concerned about Inheritance Tax (IHT) on my death for the children, particularly regarding the value of the house, as it seems to have increased a lot from the price we paid for it. I have heard about the new Residence Nil Rate Band (RNRB) – can it help me, and can we claim for my late husband as well? The answer to the first question is yes, it can help, as long as your estate is not worth more than £2million (for those over there is a sliding tapering removal of the relief above that value). You must have a property you live in as a residence which, on your death, is giving rise to an IHT issue, and you must survive to at least 6/4/2017, and in addition you must leave the property to lineal descendants whom could include your step children. Then the relief is worth an additional £100,000 of sheltered value from IHT on your own demise. To the second question, the answer is also yes. The hurdle is for you to outlive the 6/4/2017 point; if you do, then your late husband will, for these tax rules, be treated as dying in the same tax period as you eventually pass during, and therefore the relief available is doubled to £200,000 should you die between 6/4/2017 and 5/4/2018 and so forth. The figure is subject to the sliding removal of relief for estates worth more than £2million. Interestingly your late husband does not have to have had an interest in the property as you have to have had, for you to qualify for the transfer of his RNRB, nor does his share of the property have to have passed to the children on his death. In actual fact, if RNRB and standard NRB maximisation are the only concerns when it comes to will drafting and asset destination, then leaving everything to you either outright or on a life interest will probably be the most attractive options for your husband to have given instructions for in his Will. The odd thing is that you should be able to claim his RNRB even if he died owning no financial assets at all. The one thing that the RNRB is not, then, is simple. 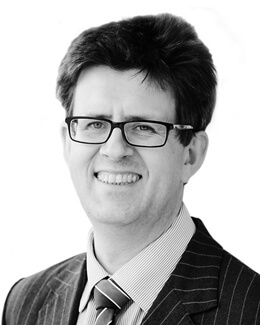 To discuss inheritance tax with one of our experts, contact Edward Walter on ewalter@bussmurton.co.uk or 01892 502 320.